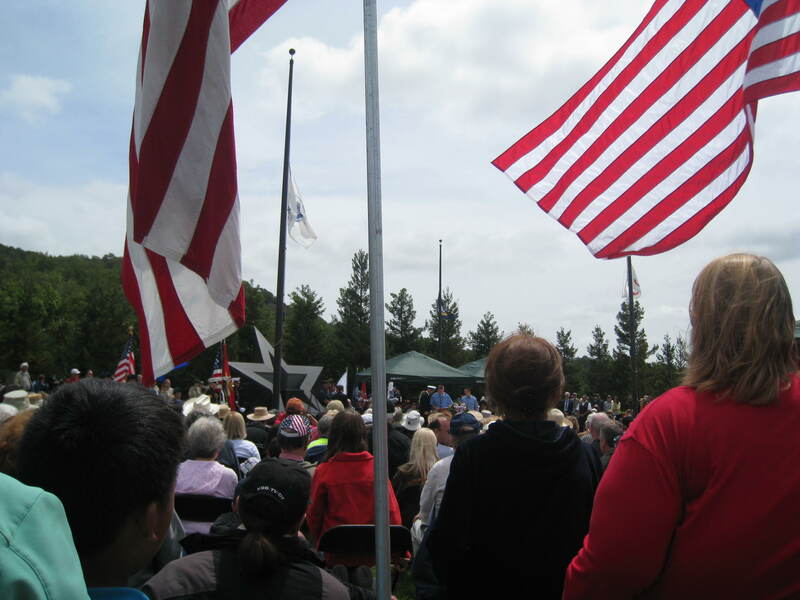 Jean-Marie was a distinguished guest at the 53rd Annual Memorial Day Observance at the Sonoma Veterans Memorial Park in Sonoma, CA. 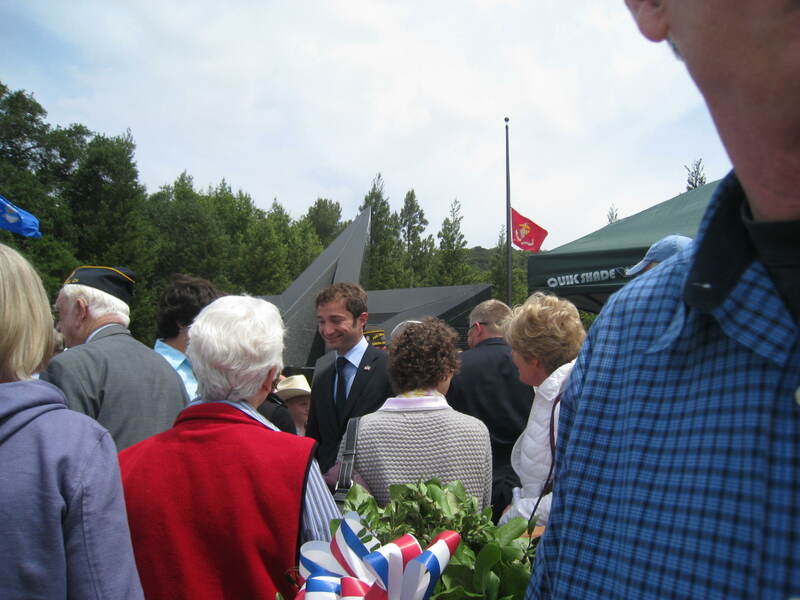 The guest speaker was Consul General of France Romain Serman, who presented French Legion of Honor medals to soldiers who fought with distinction on French soil in WWII. 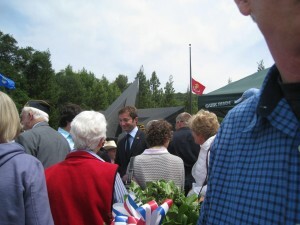 Ten men eligible for the award were invited to receive the award, one of France’s highest honors. 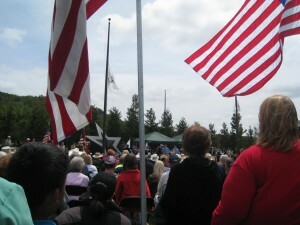 The Memorial Day ceremony included the procession of local veterans from all service branches, the procession of a riderless horse, and release of white doves to conclude a day of pride and patriotism. In “Through My Mother’s Eyes,” Jean-Marie frequently mentions the close relationship that her father Gene Faggiano had with his good friend Jack Cassidy. Jean-Marie and her family were honored to have a special visit from Jack Cassidy’s three daughters and their family at the ceremony. 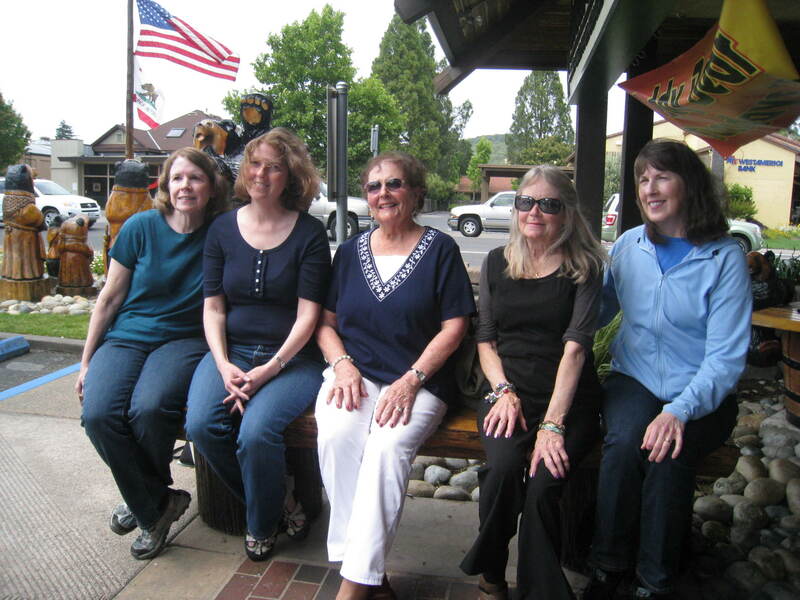 Pictured from left to right: Peggy and Eileen (nee Cassidy), Jean-Marie, Christine Downing (her father, Donald “Chick” Downing, was also a good friend of Jack Cassidy and a fellow internee at the Santo Tomas and Los Banos Internment Camps), and Maureen (nee Cassidy).